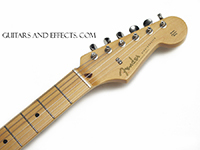 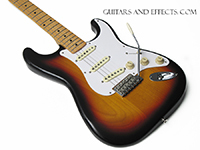 Made In Japan Fender 1958 Reissue Stratocaster. You don't see this model for sale in the US very often. 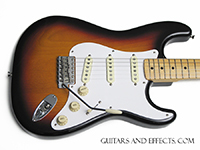 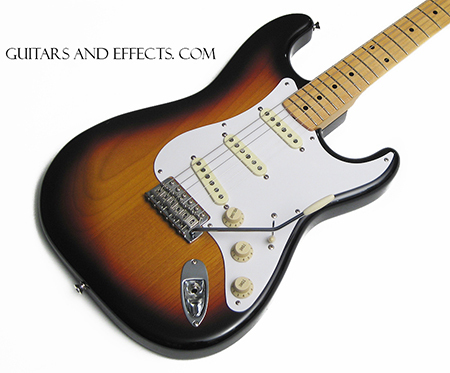 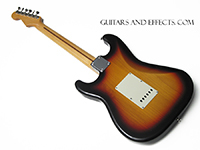 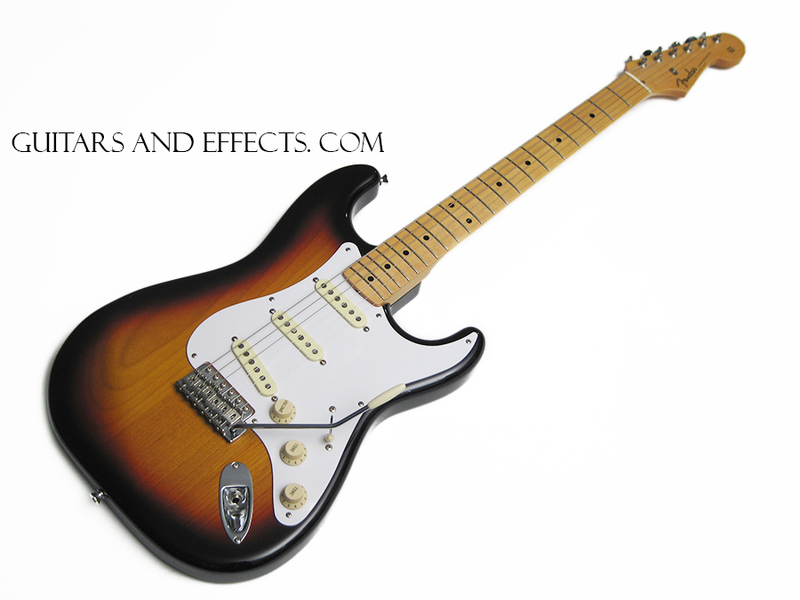 Made In Japan Reissues Strats are highly sought after by players because of their great looks, excellent tone, superb playability, and fine craftsmanship. 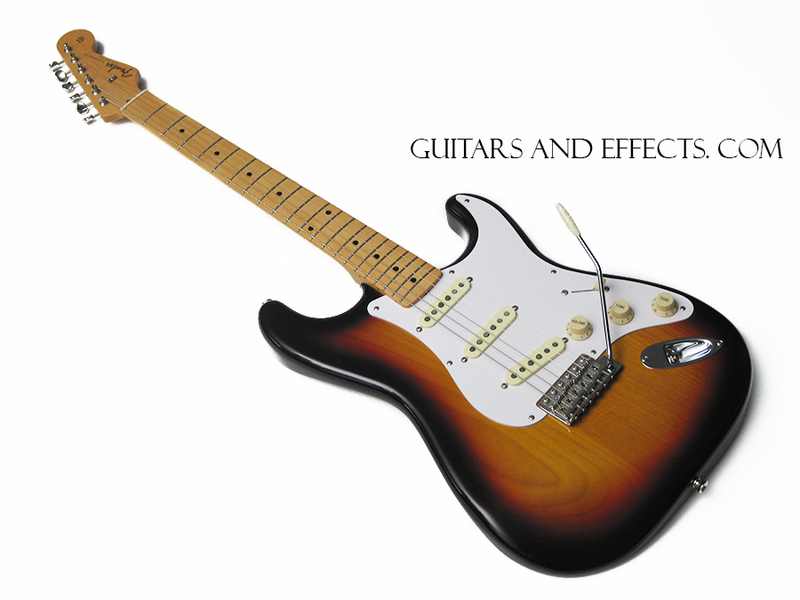 This example is no exception. 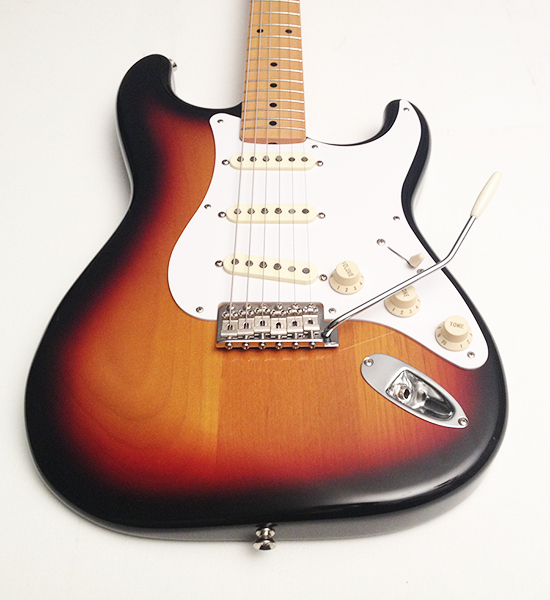 Upgraded with a set of "Tex Mex" Fender pickups. 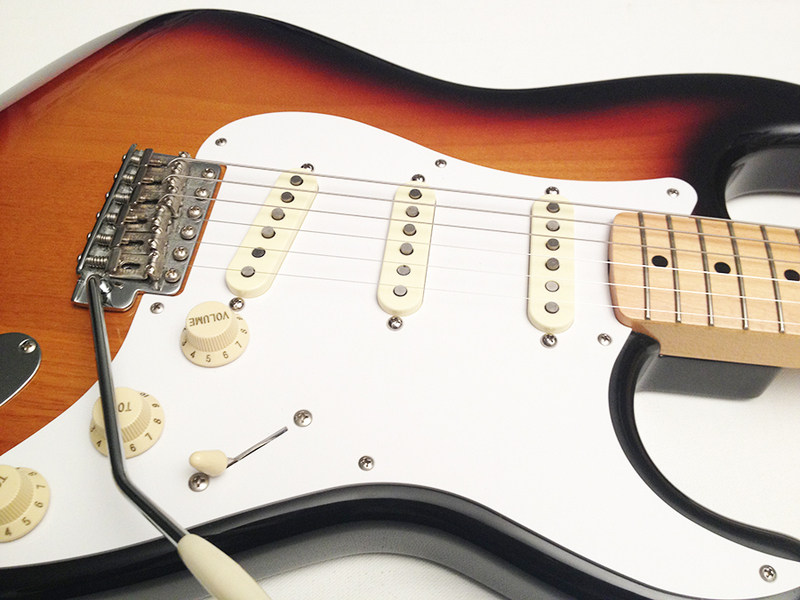 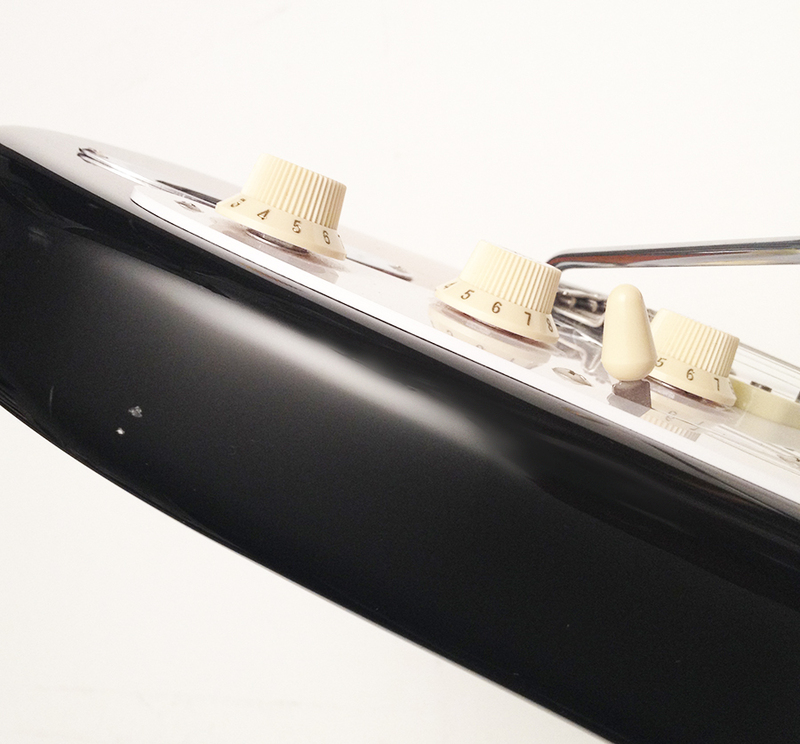 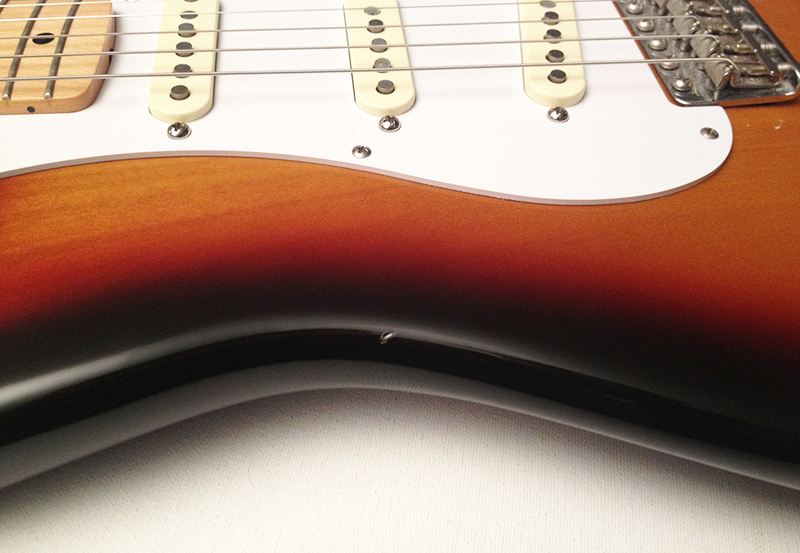 [ as used on the Jimmie Vaughan model ] Excellent condition showing a few small dings and normal play wear. Overall a great looking guitar. Includes a free gig.